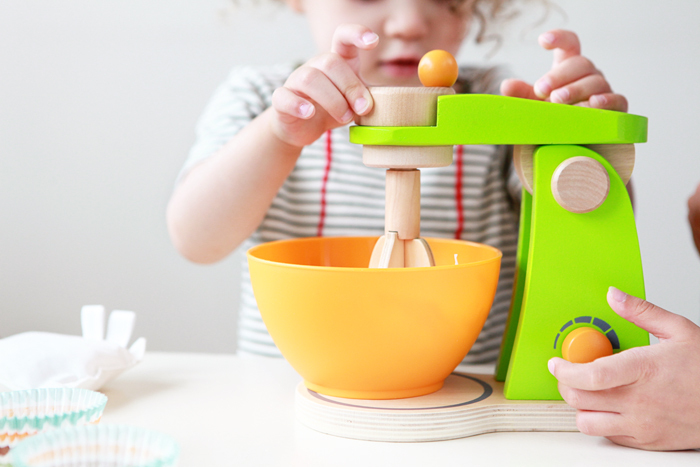 Avery and Nate fell in love with this wooden mixer right out of the box. They were fascinated with how the beaters worked (using the knob to make the beaters turn) and they enjoyed pouring the “flour" and "brown sugar” in the mixing bowl. 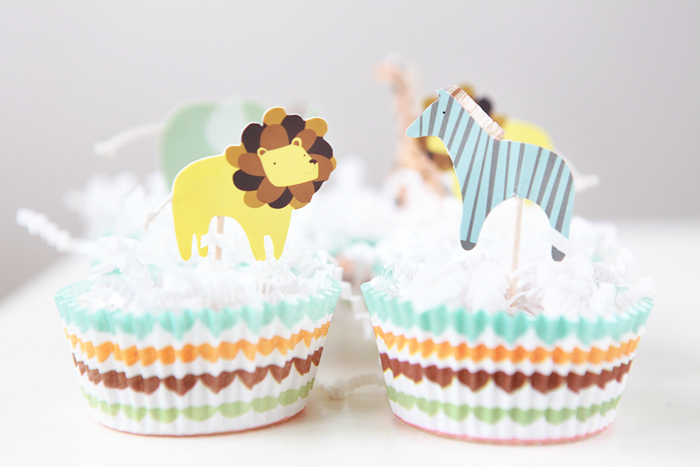 We decided to make cupcakes using shredded paper, pom poms and this Animal Parade Cupcake Kit. I wonder what these two pastry chefs will be mixing up next! 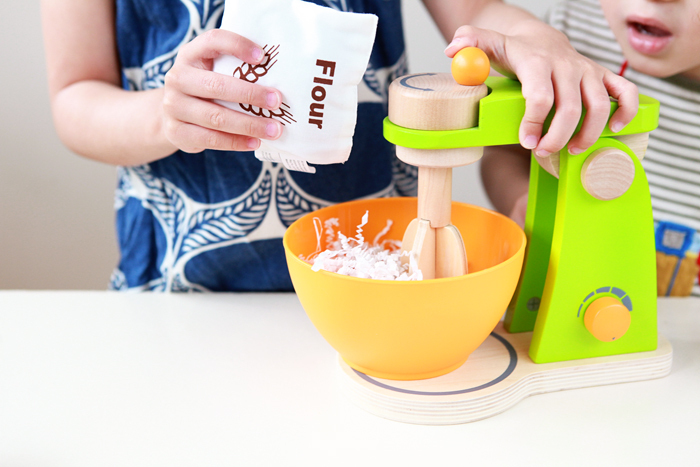 This little mixer is a great first “countertop appliance” for any play kitchen. Thanks to The Land of Nod for sending us this mixer and cupcake kit.